One of the biggest hurtles for the marijuana industry is payment processing. Until marijuana is no longer classified as an illegal Schedule I drug, financial institutions will continue to be faced with regulatory issues when it comes to approving a cannabis account. However, there are some tips that might help you in establishing a positive relationship with a financial institution – they may even allow you to obtain an account. Comply with your state’s regulations. One of the best steps you can take to demonstrate your compliance with the state’s regulations is to have copies of successful state regulatory agency inspections; this includes any third-party compliance assessment reports. Another step in the right direction would be to include having a designated compliance officer or company actively monitor operations. Be sure to also train staff in all compliance issues. Any compliance training should also be documented. Federal & state tax returns – presenting tax returns shows the institution that you are properly reporting your income from operations. State & local licenses – these documents will prove that operating legally within your state and local governments is important to you. Business financial records – include annual summaries of profit and loss statements and balance sheets. Supplying such information will reassure the institution of your willingness for transparency. Personal financial records – include personal financial statements and tax returns. Again, doing so will show the bank your transparency, and that they do not have to worry about money laundering or other criminal activity. Understand that there will be additional fees. Institutions are obligated to cover the cost of regulatory reporting requirements of the Justice, Treasury and other Federal and State departments and agencies. As the institution gains more experience concerning your account – and the industry itself – these costs will likely change. Be transparent in what you are. Whatever you do, do NOT hide the fact that you are in the cannabis industry from an institution. It is tempting to think about doing so in light of the current climate of the financial industry. In truth, most financial institutions do want your account. They are just unsure of how to tell who is “good” and worth the additional scrutiny they will receive. Pick the right type of financial institution. Whether you secure marijuana payment processing through a smaller community institution, a larger regional or national institution or through an online high risk provider, be sure you find the solution that best fits your needs. Many times, even after dotting ever “I” and crossing every “T”, traditional institutions will still turn you away. In this case, many have turned to the alternative high risk payment processor for their marijuana payment processing needs – taking advantage of their specialized services. Keep in mind that, even if cannabis is removed from Schedule I under the Controlled Substance Act, banks won’t automatically open their vaults for your deposits. The concerns about Suspicious Activities Reports and Anti Money Laundering Regulations will remain. The best thing you can do is to be thorough and transparent. Don’t be afraid to explore all of your marijuana payment processing options. 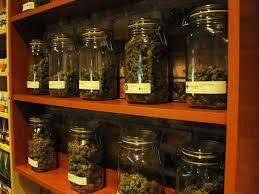 Contact MMA for all your Marijuana Payment Processing needs. This entry was posted in Marijuana Merchant Account and tagged Marijuana Payment Solutions, Payment Processing Solutions for Marijuana Dispensaries by admin. Bookmark the permalink.